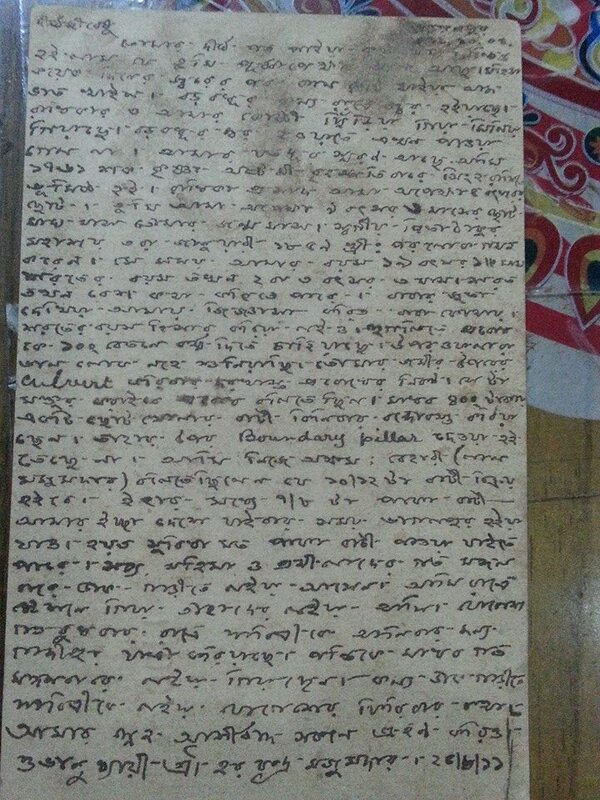 Recently, my friend’s sister put up this interesting post in Facebook of a centuries old letter written by her great great grand father to his younger sibling. 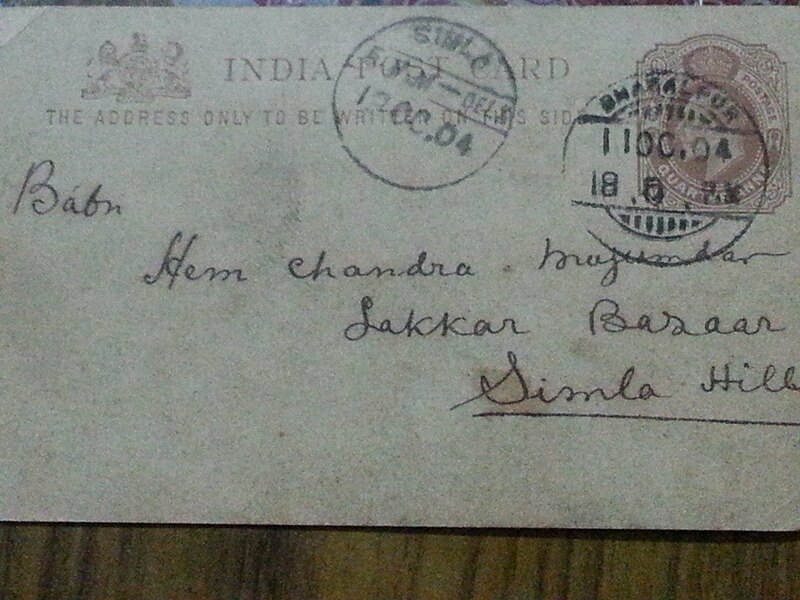 I was pretty intrigued, by the postal stamps and the clear legible Bengali script with a spattering of English. With confusion prevailing on the dates, I took a closer look to realize that the writer refers to the Shakya Calendar which was in use in Bengali society at that time. It is about 78 years behind the Gregorian calendar and owes its origin to the monarchs Shalivahan and or Kanishka. Dated, 1889 AD, the letter was posted from Bhagalpur (now in Bihar) to Shimla (Himachal Hills) with a 2 line address and seemed to have found its way. He writes in crisp formal Bengali but the tone is warm affectionate, informing his younger sibling of events that are happening back home and affectionately urging him to take care of his well being. Chained to the world of e-mails, its ages since I wrote or received a hand written letter. A hundred years later, all that we will leave behind is a couple of e mails. In the world of social media, with short messages, tweets, chats et al, we may not be writing those long messages of love and affection any longer but on a cold evening, or a rainy afternoon, it would be nice to read a few to warm the heart !! Did you read an old hand written letter, what feelings did it evoke ?